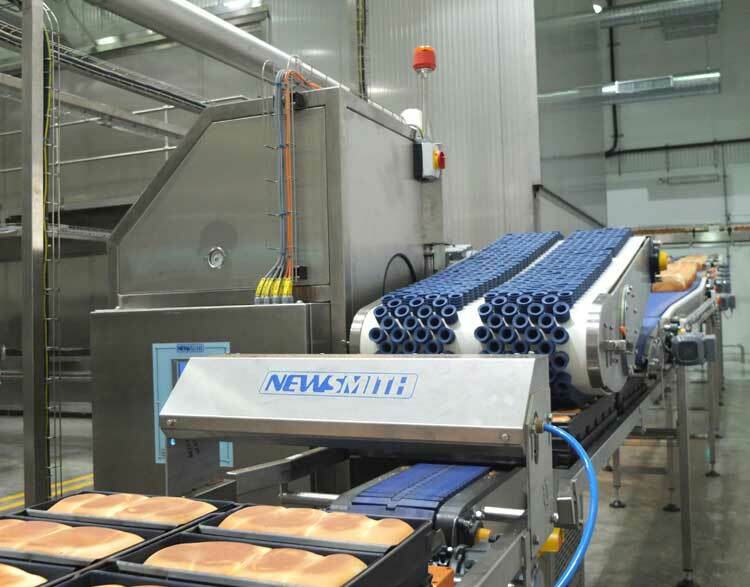 The Newsmith cantilever bread depanner is designed to remove baked loaves from the pan as they move along the conveyor circuit, transferring the loaves to the hot bread conveyor. 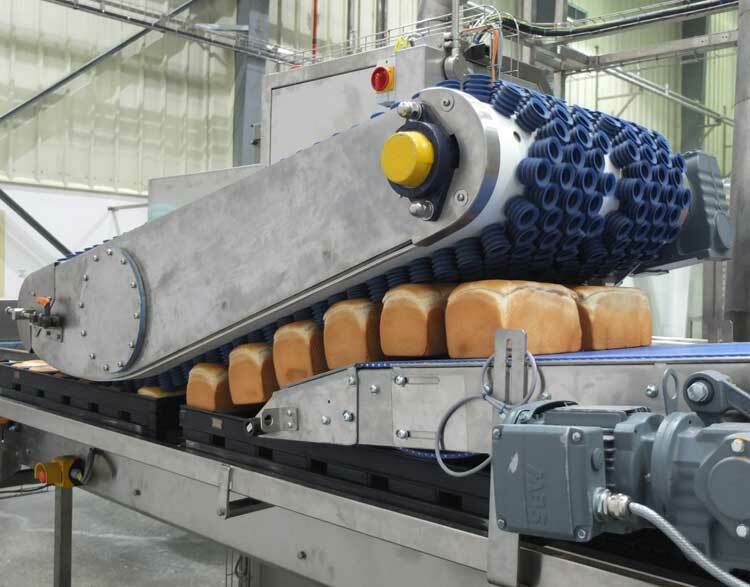 This is achieved by the depanner suction conveyor which is fitted with a series of silicone rubber vacuum cups; these cups are designed to lift the product, without causing damage to the product, as the conveyor is driven around its supporting drums. Category: Automated Handling. Tags: bakery depanner, bread depanner, depanner.